Your next Stadium Car can be delivered to you anywhere in the South Island for FREE making it even easier for you to get on the road. Need it in a hurry? Give us a call to find out just how quickly we can get your car delivered to your door. We have drivers standing by ready to go. 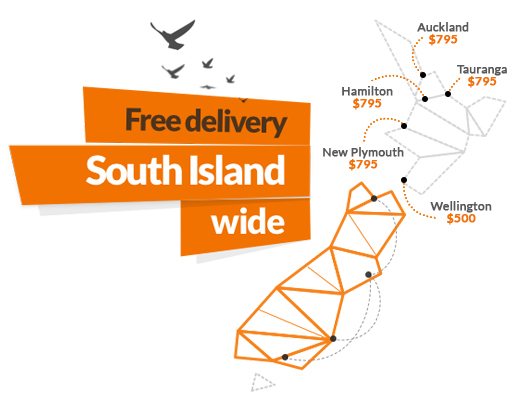 Even those living in the North Island can buy from Stadium Cars and get a great deal on freight. Pick up the phone and tell us where you live and we'll make it happen cheaper than you might think.